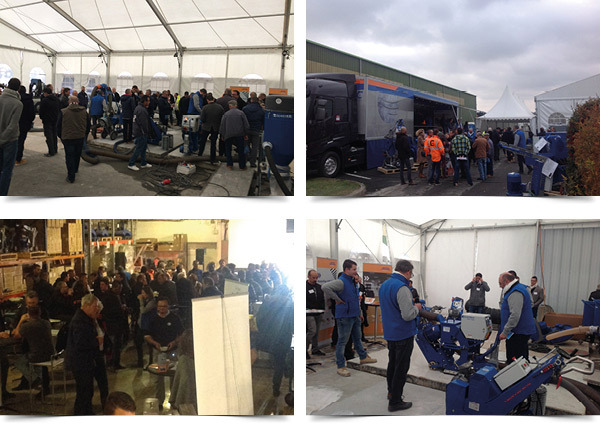 On 9th November Blastrac France held its annual Open Day. Visitors were free to ask our team of experts any questions or queries about our products & techniques. At the end of the day, we all gathered around a friendly “Perigourdin” buffet with two very talented musicians providing the entertainment. The Open Day at Blastrac France was a great success and we would like to thank everybody who attended and we hope to see you all again soon. Below you can find some pictures of the Open Day.